“Moving away from our false story!” This is a core focus of Rachel Horton’s work and this interview sheds light on how Rachel got to this point and how she is doing this work. When she was a child, Rachel had dreams that compelled her to let friends and family members know something was about to happen. Fast forward to life in the non-profit sector after college and being a mom to two vibrant children, Rachel realized it was time to reconnect with these childhood gifts and passions. 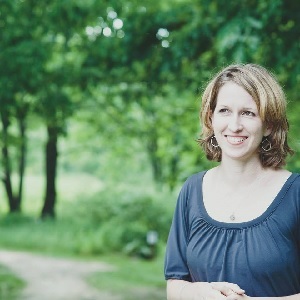 Rachel’s first step in connecting with these childhood gifts was to meet with a life coach, Lael Jepson, to whom a friend had referred Rachel. In her work with Lael, Rachel discovered that she, too, enjoyed working with people in helping them seek their own soul’s purpose. In this interview, Rachel highlights a few of her fundamental values, and they all support the notion that we are on this earth to live in and enjoy our passions and gifts. Rachel helps her clients through individual and group sessions, on line courses, and podcasts to break free from repetitive negative patterns, to connect with our inner self, and to try not to always follow our ego or self critic. In other words, Rachel is helping us to move away from our false story. How cool! We need this! What will you have me say today? Rachel is now sharing her gifts and wisdom on-line and in person. She is certainly inspiring love, joy, and positive vibes, and we are grateful for Rachel taking some of her time to share her wisdom with us. More information about Rachel can be found on her website (click here) or on her Facebook Page (click here).